Another ‘first’ on SOMM and a very special one at that, is the recording of piano music by the neglected lyricist and ‘king’ of light music, Reginald King. 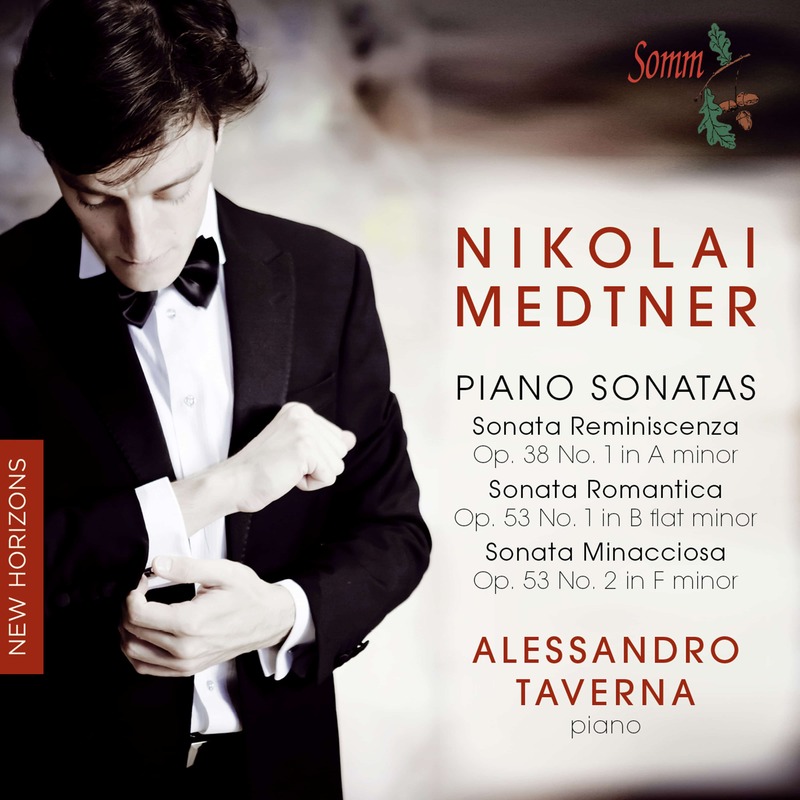 This will be the first commercial recording of these works. Reginald King‘s name first came onto Mark Bebbington’s horizons in August 2011 when he was visiting Siva Oke from SOMM recordings to discuss a whole range of possible future repertoire ideas and session dates. 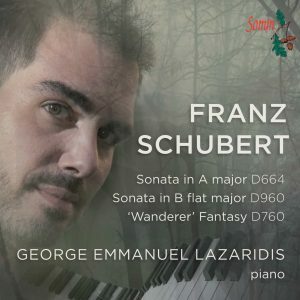 Siva Oke, Director of SOMM, had been in conversation with King’s publisher at Bardic Edition who had expressed enthusiasm for SOMM to record some of the piano miniatures by Reginald King. 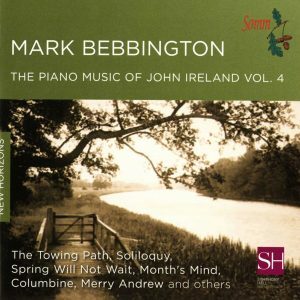 Mark Bebbington was instantly won over by the easy-going charm, beautiful craftsmanship and melodic freshness of these ‘light’ piano pieces. Not for a moment did he feel that tackling this repertoire would he be at odds with the grittier world of other areas of British music he had championed on SOMM. To quote Bebbington: “Here was, quite simply, wonderfully engaging highly listenable, delectable miniatures that became a pleasure to learn and a pleasure to play over the coming weeks. They also became something of a ‘hit’ in my own household…my two young children became hooked on them…..and I felt that this hitherto unknown name was now ripe for 21st century recognition. Reginald King (1904-1991) was considered a ‘king’ of Light Music during his lifetime, but his classical training at the Royal Academy of Music sets him apart and his music is suffused with a lyrical warmth and classical restraint that give it a really “haute couture” feel. He was a soloist with Henry Wood at the Proms, but his greatest successes were between 1929 and 1964 when he gave over 1500 BBC broadcasts with the Reginald King (RK) Orchestra. The RK Orchestra played regularly in the West End (Swan and Edgar’s Restaurant) till 1939 and from 1954 a residence was established in Bridlington. With the arrival of the TV and pop music, “light” music was no longer the fashion and Reginald King recognised this and retired (gardening and vintage cars being his main hobbies later in life). In the summer of 1986 Allan Hughes, proprietor of a leading piano showroom in Sheffield, had a visit from a gentleman who wished to have his piano tuned. He sat at one of the pianos and on hearing him play, Allan, who had known and loved Reginald King’s music since listening to the regular BBC broadcasts of the 1940s featuring RK and his Orchestra, realised that this was the man himself! He asked: “would you, by any chance, be Reginald King?” The answer was affirmative and a friendship was struck which lasted to the end of King’s life. 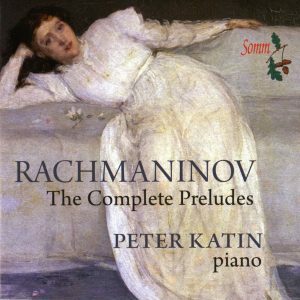 Hughes promoted RK’s music as part of a series of concerts of which he was Artistic Director and to this day Hughes remains the flame that keeps alive this wonderful music. Many of Reginald King’s piano miniatures achieved fame in arrangements by popular singers. The work ‘With all my heart’ for example was sung by Vera Lynn to the forces during WW2 and Ken Dodd also later sang it on his 1965 recording ‘Tears’ which sold over a million copies. 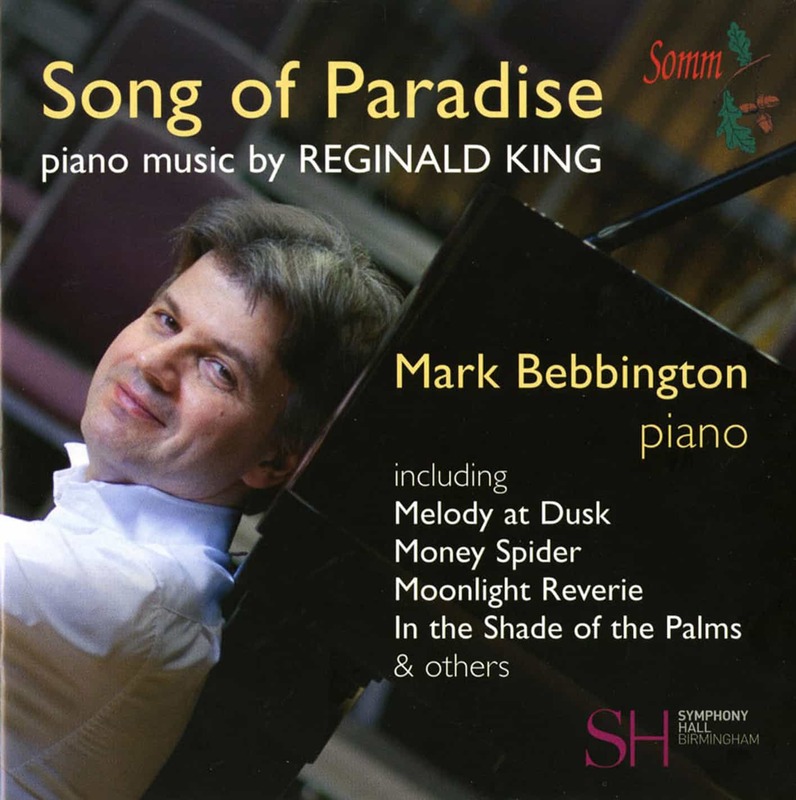 Bebbington’s CD includes Song of Paradise which was King’s signature tune and its mixture of warmth, nostalgia, romanticism and sheer escapism best sums up the piano oeuvre of this minor ‘great’ composer. It also includes Melody at Dusk, inspired by a pupil at the Royal Academy who later became his wife. Other works include Summer Breezes and Passing Clouds (both written when on honeymoon) and the mysterious The Silent Pool.